High Quality Content by WIKIPEDIA articles! 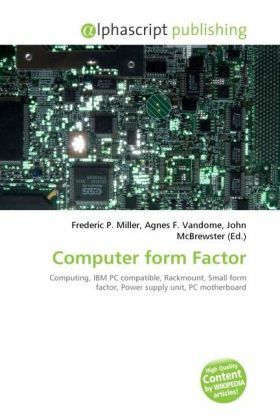 In computing, a form factor specifies the physical dimensions of major system components. Specifically, in the IBM PC compatible industry, standard form factors ensure that parts are interchangeable across competing vendors and generations of technology, while in enterprise computing, form factors ensure that server modules fit into existing rackmount systems. Traditionally, the most significant specification is for that of the motherboard, which generally dictates the overall size of the case. Small form factors have been developed and implemented, but further reduction in overall size is hampered by current power supply technology.